In 1951 Pinin Farina designed four automobiles, one for Ferrari and two for Nash. 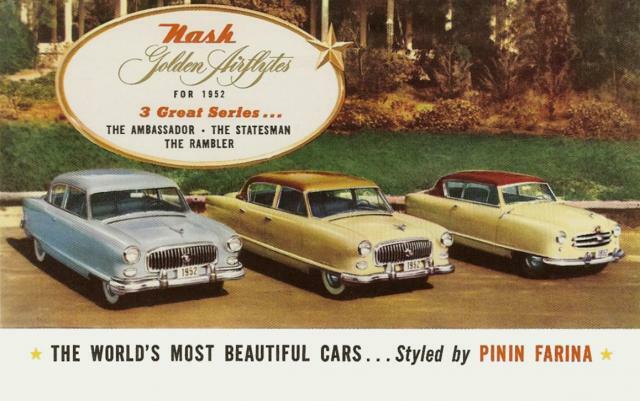 Their Golden Anniversary (1902-1952) 1952 Ambassador/Statesman and the two seat Nash Healey Roadster. This is the first time in the history of American automobile companies that the name of the designer becomes famous. "ENTER A NEW 'WHO'S WHO' IN MOTORING" suggested Nash's sales brochure. It proclaimed, "Today Nash places in your hands the proudest achievement of its fifty golden years ... The Golden Airflytes for 1952 ... cars excitingly new to the motoring world!" There were a number of new features in the anniversary Nash's: "Airflex" front suspension, "Eye-Level Visibility," "Road-Guide" fenders, "Super Flying Scot" engine. But behind those high-sounding tags were real product improvements. 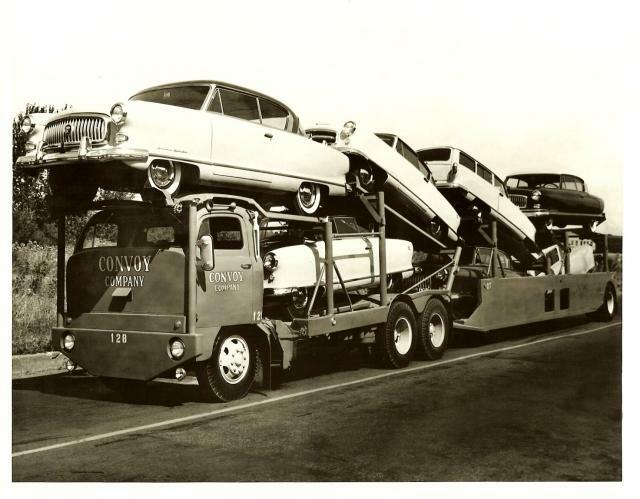 In 1952 there where only two cars built in the world with a 100% counter balanced crankshaft. Nash and Rolls-Royce. 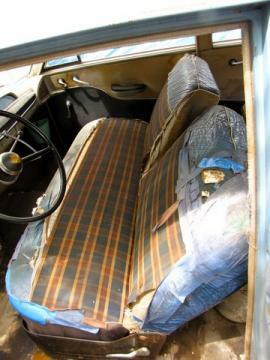 The Milage on this car is correct and It has had seat covers on since new! This vehicle has been viewed 4858 times.